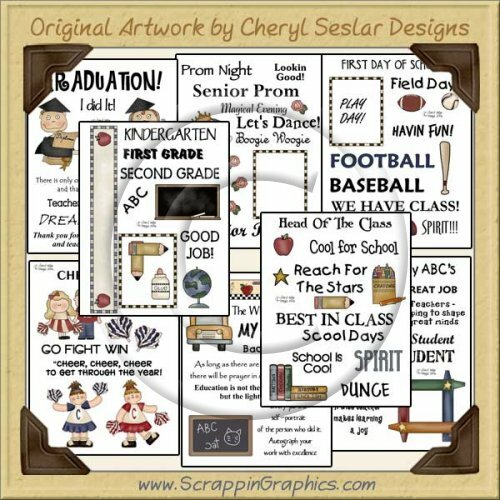 This collection of adorable and cute school themed clip art graphics come in 8 letter sized separate sheets. Contains word art and clip art for first day of school, Kindergarten, star student, graduation, back to school, prom, cheerleading, sports. Great collection for making scrapbook pages, cards, labels, tags, invitations, and other printables. Graphics cannot be separated to create new clip art sets for resale.